CityVille is one of the most popular casual games developed by Zynga. Inspired by Sim City, this city-building sim game lets you build a virtual city by constructing industrial and civic buildings and collecting rent. It also allows you to farm and perform various other tasks to have a thriving metropolis. Launched in December 2010, this casual game outshined Farmville with 100,000 players on the very first day of its launch. The game’s popularity has also spawned several CityVille fan blogs and sites. Fan sites provide the latest news, rumors, in-depth guides, tips and hints to make your metropolis beautiful and economically more productive. Some sites also offer tips to add more CityVille neighbors and help your city grow. They also provide additional updates on new features, game surprises and even news on fan merchandise. Grindter is the perfect fan site for CityVille players who want in-depth guides. The site is recommended for its how-to guides, tips and hints than news. Just click on “Hints” in the “Categories” list to get in-depth guides to building factories, warehouses, corner stores, tips to get cash easily and other guides that are well explained with screenshots. The Quests category also provides updates on new quests. The fan site also provides helpful charts to build faster and earn money quicker. Charts on new buildings, decorations and items contain useful information on costs, earnings, supply, rent and other information, thereby presenting a quick guide to advanced CityVille gamers. With a separate Facebook fan page, the site has over 1,000 Likes. You can subscribe their posts via RSS feed readers or shoot them an email if you want to request a new post related to CityVille. This CityVille fan blog is the one stop site for all the latest and the most accurate news on Zynga’s city-building simulation game. With over 60,000 Facebook likes, CityVille Feed is one of the best news sites with latest updates on new items, upgrade tips, short how-to guides (with screenshots) and rumors running rife in the CityVille universe. The blog also has a separate forum and a chat page for all fans to share their experiences, provide helpful tips, request neighbor and energy or report complaints on game glitches. One of the best aspects of CityVille Feed is its clear, uncluttered design. The blog page navigation is easy and there’s a separate search section to your right to find quick info. The blog’s top portion has different sections, including cheats, gifting links that will help you select different items and gift it to your friends, a separate FAQ section that provides key information on every CityVille object, including buildings, farms, resources, city cash, franchisees, city expansion and many more. But the most impressive part is the news section. Just click on the blog logo and you will find the latest happenings on everything related only to Zynga’s city building simulation game. Every news story boasts big screenshots and other multimedia content for easy viewing. The blog updates special items on every occasion, including Christmas, Father’s Day and several other occasions. If you are looking for the best no-nonsense blogs/sites that deliver regular updates and tips, then you should subscribe to CityVille Feed. The official CityVille fan blog gets to the core in bringing you the latest happenings behind the scenes. From mini-guides to news on fan meet up events. The most recent update on a fan meet up was on April 2011, when CityVille players interacted with the game development team. The blog updated its posts with the video of the fan meet up and posted snaps of players playing a live Bingo game and attractive merchandise (mugs, shirts. key chains and game cards) offered to those who were present at the meet up. Zynga CityVille blog also provides behind the scene updates on what’s happening in the developer’s cabin. Complete with photographs, the blog post give an insight on what’s brewing at every corner of the office. Other short blog posts also provide excellent tips and hints to help your metropolis grow quickly. 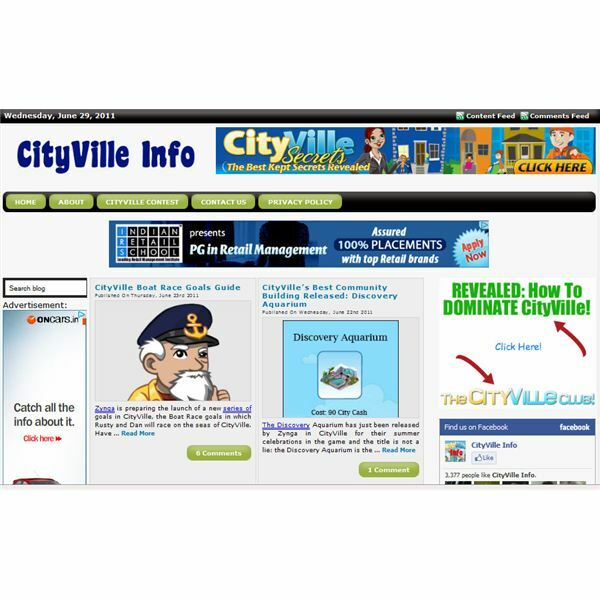 I just loved the CityVille Tips and Tricks blog posted on April 2011. It offered key tips on free energy collection, goods, coins, space, population and franchises. 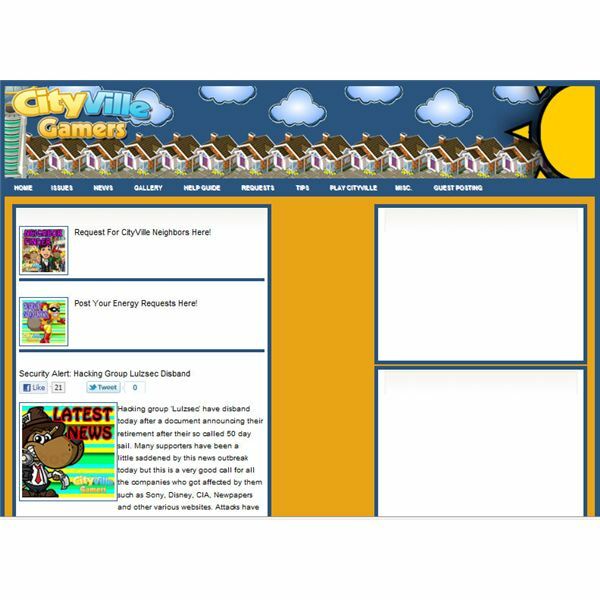 Official is, well, official and no other CityVille fan blogs and sites can match the accuracy of its updates and news the blog shares with us. The Zynga CityVille blog is surely one of the best fan blogs that requires immediate attention of all avid CityVille mayors. CityVille Info is a personal blog aimed to provide recent updates, guides and tips on everything related to Zynga’s most popular city building casual sim game. The blogger, who himself is a big CityVille fan, shares his experiences with players and provides regular updates on new items, new features, tutorials and guides and links to request more neighbors and Energy. With more 3,000 Facebook Likes, CityVille Info boasts different categories for Goals, Items, Guides, Glitches and News. The navigation is easy and simple, no flashy stuff. I loved the short news posts that kept me updated on the latest upgrades and I recommend reading posts in the items category and regularly checking out CityVille News category. Remember that this is an unofficial fan page created by a fan, but most updates that I have read are accurate and to the point. To get daily updates on your email, just subscribe to the site by entering your email. This unofficial CityVille fan site provides all the latest news, views and fan talk. The website boasts several categories including a separate section for energy and neighbor requests, latest updates on the game, weekly highlights, reviews, security tips and much more. However, the how-to guides section and quite a few others show a blank page, and this might be a turn-off for gamers who are looking for additional tips or for those who are new. This site is good only for those who want the latest updates, rumors and news on anything related to CityVille. CityVille Gamers (CG) has an active Facebook Community of more than 4,000 members. The website also has a separate Twitter page that updates with the latest tweets. The site also allows CityVille fan post, inviting all mayors to post their city-building experiences. 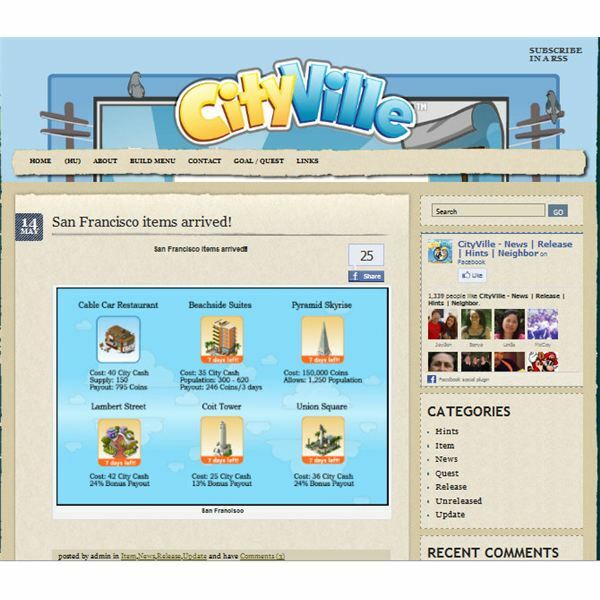 All you have to do is enter your email and start writing your own experiences, tips, and game guides on CityVille. The website’s news section provides daily updates, tips and hints on CityVille. My only gripe is the slow page-loading. Every time I click on a section, it takes considerable time to load that page. I sincerely hope the site admin makes an effort to address this issue quickly. All in all, CG, with a thriving FB Community, is a good site for players who want to subscribe to the latest happenings in the CityVille world, but for those who are looking for how-to guides, there are other sites to check those for. Those were some of the best CityVille fan sites and blogs. What’s your favorite fan blog? Do share with us if you have bookmarked some of the best websites and blogs that provide updates, guides and useful links.